We are positively beating our chests with excitement for the next Planet of the Apes film, and it looks like Caesar and co. are up to their old monkey business. We are positively beating our chests with excitement for the next Planet of the Apes film, and it looks like Caesar and co. are up to their old monkey business. The Planet of the Apes threequel, War for the Planet of the Apes, sees humanity descend further into chaos thanks to super-intelligent apes, while the trailer shows our not-so-distant cousins going up against the remnants of mankind with the noteworthy addition of Woody Harrelson. "The irony is, we created you." There is definitely a Terminator/Frankenstein vibe to the plot of creation rising against creator; scientists trying to cure Alzheimer's was what sparked the original events in Rise of the Planet of the Apes. By the time we reach the franchise's third entry with War, it looks like society as we knew it is reaching its end. As we see Harrelson clutching a picture of what we can assume was probably his son, it looks like director Matt Reeves has given the Colonel a classic tortured villain backstory. His flask shows a spilled brown liquid too, so he will probably being your token gun-toting soldier driven to drink by his loss. Those great lengths look to be a covert attack on the ape stronghold, which will undoubtedly lead to loss on Caesar's side, and spark the war. Set two years after its predecessor, Caesar still leads his group of apes in the forest outside San Francisco. Dawn closed as the troop of apes were forced into retreat by an incoming army of men, but it is unknown whether the Colonel will directly lead on from the end of the previous film. 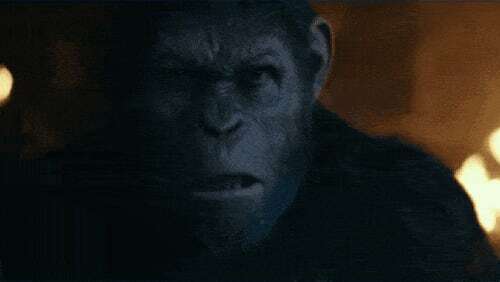 We see the apes tooling up, presumably for the "war" part of War for the Planet of the Apes, and they look like they will be picking up the human arsenal sometime in the second half of the film. Despite killing the human-hating Koba in the finale of Dawn of the Planet of the Apes, it looks like the Colonel is the most dangerous threat that Caesar's group is yet to face. "This is our last stand, and if we lose, it will be a planet of apes." However, we know that probably won't be the case — it has already been confirmed that at least a fourth film is being planned, so expect the "apes of wrath" to continue! With Josh Brolin's Casting as Cable in Deadpool 2, How Might Thanos Meet His End in the MCU?